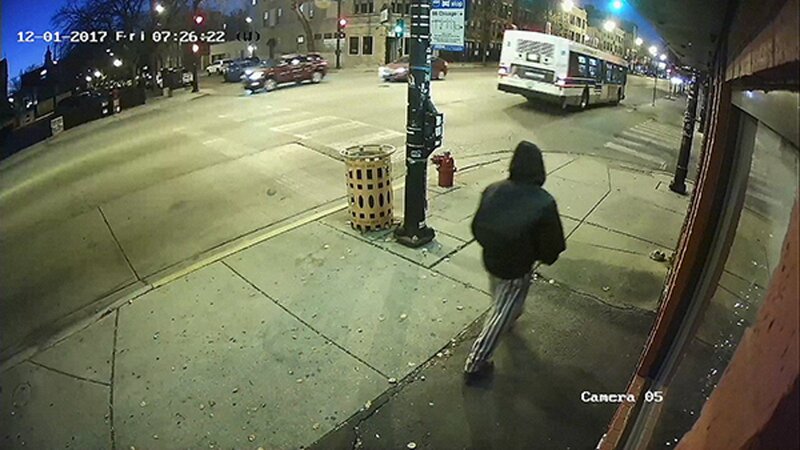 CHICAGO (WLS) -- Chicago police released a surveillance image of a man suspected in the sexual assault of a woman waiting for a bus in Ukrainian Village last week. The 31-year-old victim was standing in the 2200-block of West Chicago Avenue around 6:20 a.m. on Friday, Dec. 2, waiting for a bus, when police said a man she did not know walked up to her, punched her in the face, took her cell phone, then pulled her into a gangway and sexually assaulted her. Police gathered surveillance video from neighborhood businesses as part of their investigation. They released the surveillance image Wednesday evening.